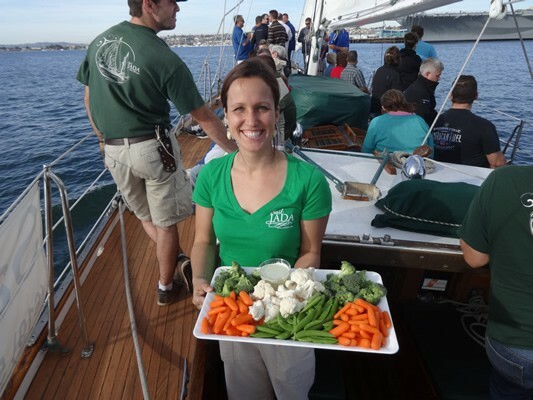 San Diego Bay Sailing Catering. 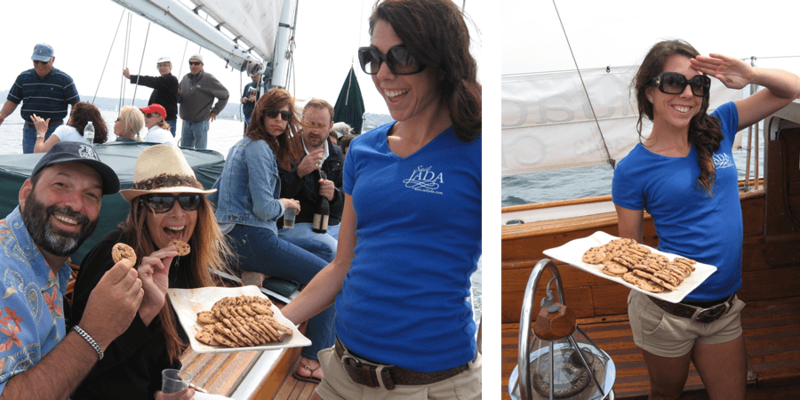 Treat your guests with Sail JADA's award winning catering out in the San Diego Bay. 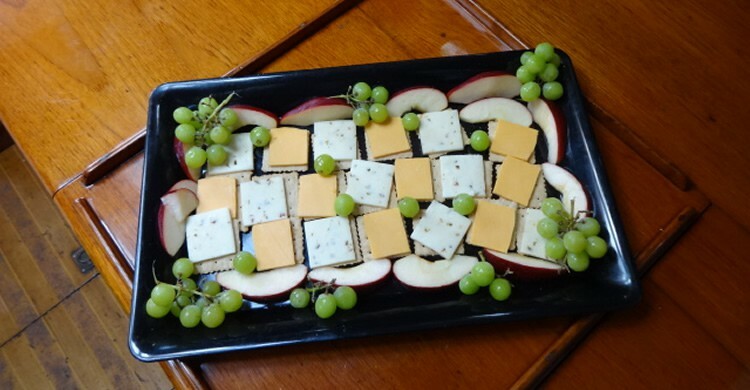 Your Sail JADA Charters hostess can provide an assortment of appetizing platters of cheese and crackers, vegetables and dip, herbed shrimp, and smoked salmon on cucumber. (Sample platters pictured here). The ingredients are purchased fresh from the farmers market the same day as your cruise. We also work with finest award-winning caterers in San Diego so that the quality and presentation of the food matches the classic ambience of the yacht. The main galley or cabin top is set up nicely for buffet style catering, and we make it easy for you so that when you and your guests arrive, your food is beautifully displayed and ready to enjoy. Your guests will be greeted with a chilled beverage and a welcome hors d’oeuvre while we prepare for departure. · Catering costs include: delivery, set up, plates, napkins and utensils. · Full catering menus typically require 3 days’ advance notice. If you are placing your catering order fewer than 3 days prior to the charter date, please be aware that some menu items may not be available on short notice. · On board chef and server may be provided upon request. · If you wish to bring your own food, you will also need to provide: plates, napkins, utensils and platters. A $100 clean up fee will be charged. Preferred caterers are available upon request.